Ice Cream is the Perfect Birthday Treat! 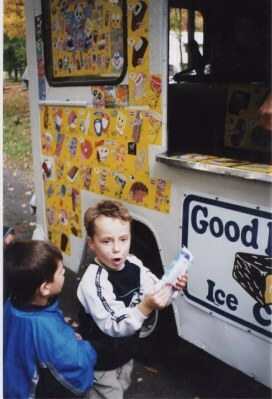 Let Frosty Bar Ice Cream come to your child's birthday party! Frosty Bar Ice Cream is an experienced, dependable ice cream vendor that will complete any child's birthday celebration, and set a lasting impression! We serve the most popular children's ice cream novelties, like screwball, firecracker, rainbow pop, snoopy, bugs bunny and tweetie! Make your child the envy of the neighborhood with a personal appearance of a Frosty Bar Ice Cream truck at their birthday party! 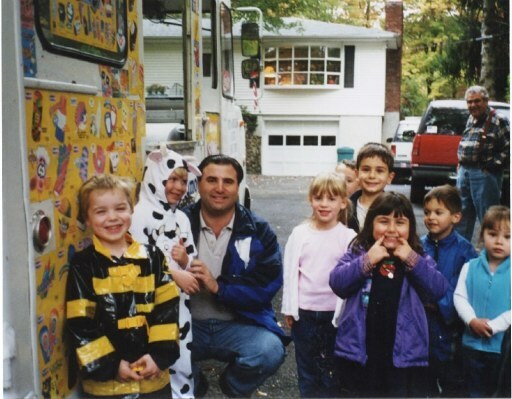 Frosty Bar Ice Cream is available for parties in Bethel, Brookfield, Danbury, and Ridgefield, CT.
Trucks available from March through October, with pricing packages available for any size party. Reserve your visit today by contacting Lew at Frosty Bar Ice Cream at 203-545-9521 or email us at FROSTYBAR2000@aol.com.